It’s hard to believe that it’s been just five months since Marvel and Comixology first launched their digital series partnership with a revival of Iron Fists. Since then, a Thor/Hulk team-up and another Black Panther spinoff have joined the lineup—and a fourth series is on the way in the form of an Avengers throwback. Avengers: Back to Basics will be a six-part bi-weekly series exclusive to Comixology’s Unlimited subscription service, alongside the host of other Marvel titles available in the all-you-can-read slate. 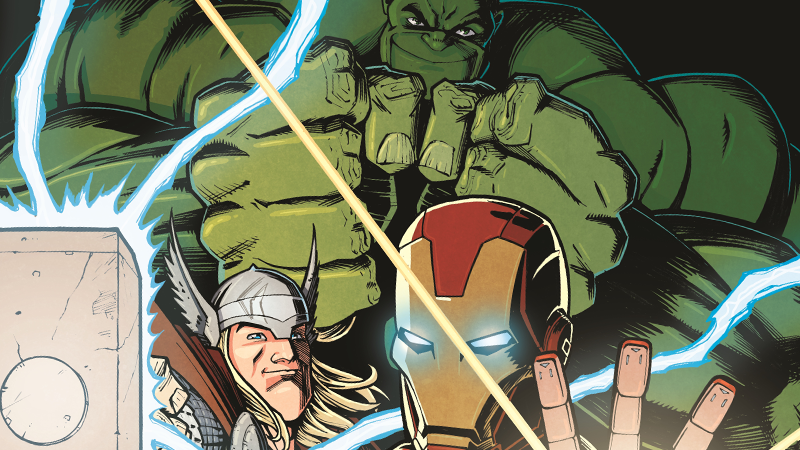 Written by Peter David with art by Brian Level and Juanan Ramirez, Back to Basics will unite Thor, Hulk, and Iron Man to prevent Ragnarok, as an ominous solar flare threatens to extinguish North America, heralding the arrival of a darkness that could end the whole world if the Avengers don’t assemble. It’s of course timed to capitalize on the renewed attention to the Avengers name ahead of Infinity War, but it’s surprising to see how quick the turnaround on this collaboration between Comixology and Marvel has developed. Repeated additions like this suddenly make Unlimited much more appealing to Marvel readers than even the publisher’s own subscription service. Avengers: Back to Basics begins March 7, 2018.